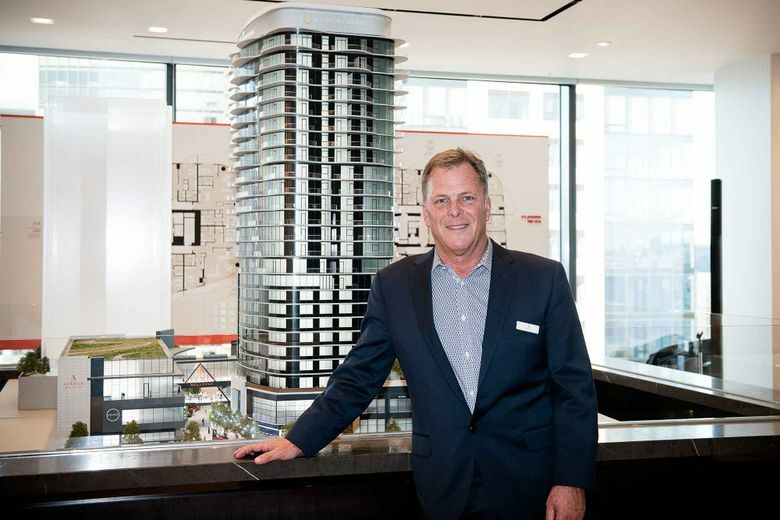 Meet Arne Hall, who is currently managing the development of Avenue Bellevue. What do you do? My role is the director of development for Fortress Development. I’m responsible for the overall real estate development management of projects, consultant and contractor selection, design, preconstruction, budget management, as well as entitlements and permitting coordination. My current project is Avenue Bellevue, a two-tower luxury residential project with 85,000 square feet of high-end retail, dining and the first InterContinental Hotel in the Pacific Northwest. How did you get started in that field? My father was a mason contractor and I was exposed to construction early. I became a carpenter in high school and learned from a Swiss craftsman, which instilled an appreciation for functional and well-conceived projects. I obtained a B.A. in architecture and B.S. in architectural engineering from Washington State University. I’ve held various roles, as architect, construction manager and real estate development manager for private-sector office, hotel, resort and mixed-use projects. What’s a typical day like? I usually start around 6 a.m., answering emails before I get to the office. I’ll attend weekly meetings with up to 30 consultants including all disciplines, like interior design, architectural and engineering. I usually get home between 6-7 p.m. After work, I enjoy spending time with my wife and relaxing, periodically check emails at night to get ahead of the next day’s meetings. What other projects have you worked on? At Schnitzer West, I was the senior development manager for the Bravern in Bellevue, and at Callison (an architecture firm), I was a member of the winning design and construction team for the Microsoft’s world headquarters campus in Redmond. My favorite project was managing the Crystal Mountain High Campbell Basin Lodge and designing the lower and upper gondola terminals, including the RDL Test Center at its 7,000-foot summit, with incredible views of Mount Rainier. What’s the best part of the job? I truly enjoy bringing a project to life. I work closely with teams to implement a process that reflects (Fortress Development CEO) Andy Lakha’s vision for his legacy project, Avenue Bellevue. It will set a new design standard in the Northwest. It allows me to oversee best-in-class collaboration, with an all-star team that constantly innovates and leverages new technologies, and to deliver exceptional project execution. What surprises people about what you do? My overall experience in all aspects of development, because I’ve been the architect, builder and real estate development manager. Having experience in all of these areas allows me to lead my team to deliver projects from start to finish, with thoughtfulness and efficiency and successful outcomes. Do you have a cool job or know someone in the Seattle area who does? Email Michelle Archer with your recommendations for people to feature in Cool Job.